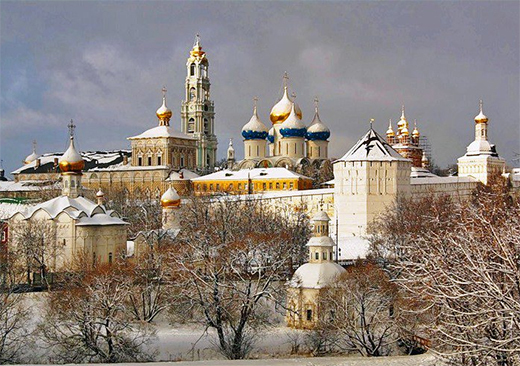 In the morning we’ll drive by bus to Sergiev Posad, a picturesque old town, most famous for the Trinity Monastery of St Sergious. On our way we’ll stop to see a beautiful house in a village and possibly even get to know its owner. We’ll get a fascinating view from the top of a hill and then go to explore Trinity Monastery of St. Sergius , one of the most important centers of the Orthodox religion and a major destination of pilgrims The monastery is included in the UNECCO list of World heritage. A short drive from the monastery will take you to the forest. 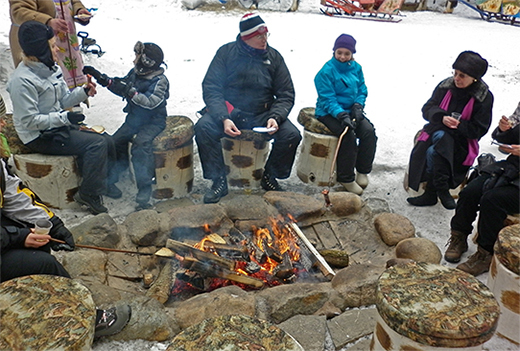 Isn’t it wonderful to have lunch by the fire, taste delicious shashlik, drink tea from samovar and even sing Russian songs? 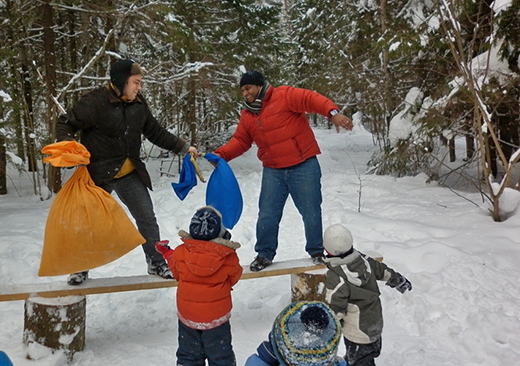 Kids will find lots of fun activities: sliding down an iced hill (equipment is provided), jumping in sacks, sawing logs and many more. 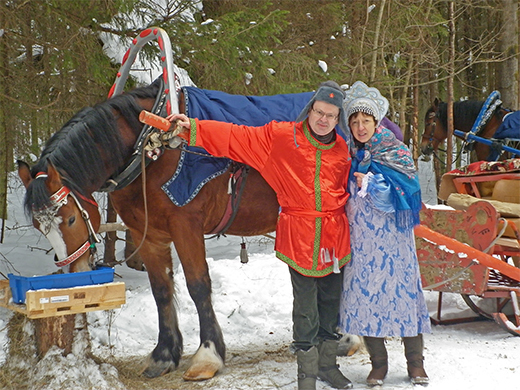 The guests will have a chance to experience a 20-minute ride on a one horse open sleigh. 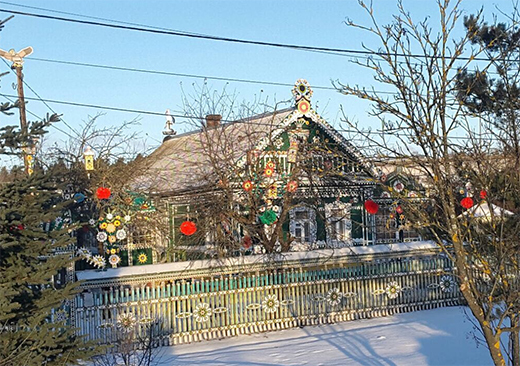 Driving to Sergiev Posad with a stop in a village to see a beautiful house in a village. 12.30 Arriving to the forest picnic location.